Excursions last either a half day or 13 hours depending on selection. Bait, rods, tackle, fishing license, and ice are all included. 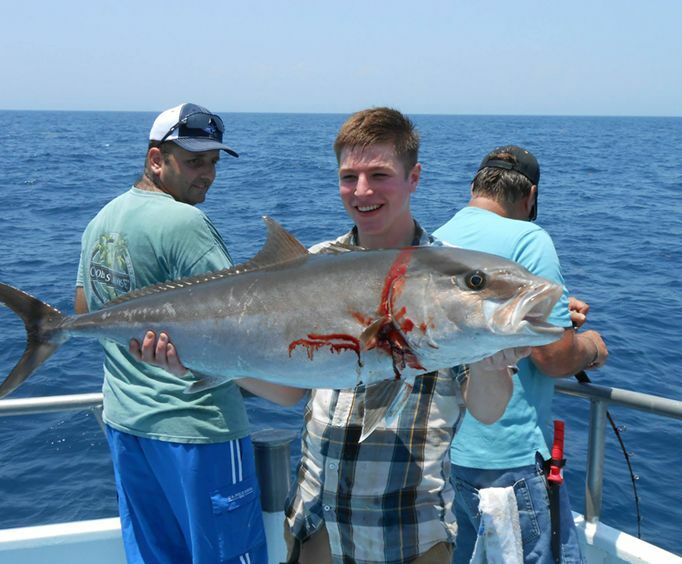 For those who are wishing to get out on the water during their next Myrtle Beach, South Carolina vacation, a Myrtle Beach Deep Sea Fishing trip is sure to be a blast. Do not miss out on the opportunity to have a fun adventure! Your journey begins at Dock Holiday's Marina where you'll take a cruise along the Intracoastal Waterways until you reach the Gulf Stream on the best Myrtle Beach fishing charters in the Grand Strand area. Your knowledgeable and fun guide will give you all the tools you need to catch some of the best and biggest fish in the area! Bait, rods, tackle, your fishing license, and supplies are all provided on the boat, so all you need to do is bring yourself and a willingness to learn. Your trip takes place up to 15 miles offshore where you'll be able to catch everything from sharks to black sea bass, speckled trout, snapper, blackfin tuna, grouper, wahoo, rudderfish, and flounder. Plus, with the option to have your fish cleaned (for an extra charge), you can even reap the rewards of your catch with a delicious meal! Not only is the catching great, but the boat that you'll board is immaculate and well-maintained. All of the boat options are comfortable and provide plenty of space for guests. Each boat is also Coast Guard approved and feature tables in large cabins for relaxing in the Gulf Stream. For North Myrtle Beach fishing, there's not a better place to do it. The area you will be fishing in upon one of these deep-sea fishing endeavors is brimming with a variety of sport fishing opportunities. Whether you head out for inshore fishing charters or during snapper season, take a trip to catch some mackerel, or want to get in some shark fishing, there's something for everyone and an opportunity to catch tons of species from black sea bass to cobia to tuna to sharks and trout. Spanning across North Carolina and South Carolina coasts, the Atlantic Ocean is absolutely beautiful and is well worth the trip. You may even get in some dolphin sights along the way, so keep your eyes peeled. Other notable nearby North Myrtle Beach attractions include Sunset Beach, Murrells Inlet, North Myrtle Beach, North Carolina, the Grand Strand, Ocean Isle Beach SC, Harbourgate Marina, the Intracoastal Waterway, and more. A trip on one of these boat adventures is sure to be a blast. There are plenty of trip options, so guests can fit in a shorter, half-day excursion or a longer 13-hour adventure depending on what their scheduling looks like. Regardless of what trip you choose, you are bound to have a fantastic time. 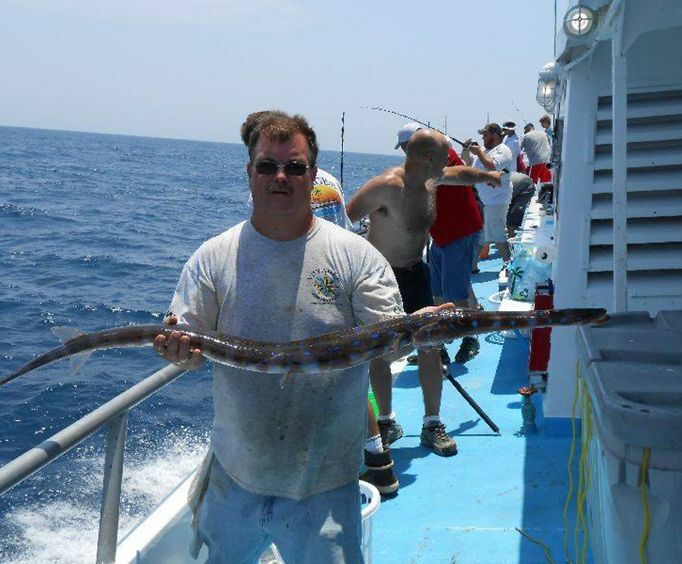 Whether you are a beginner or a longtime fishing connoisseur, one of these Myrtle Beach Deep Sea Fishing charters will be a blast. Climb aboard an immaculate boat and head out to the water in Gulf Stream where you'll fish for some of the finest specimens in the Myrtle Beach area and have an unforgettable time in South Carolina! If Myrtle Beach fishing charters are not your forte, make sure to check out the Myrtle Beach dolphin sightseeing cruises offered as well. A dolphin watching boat cruise is great for those who want to get out on the water but aren't sure about fishing! 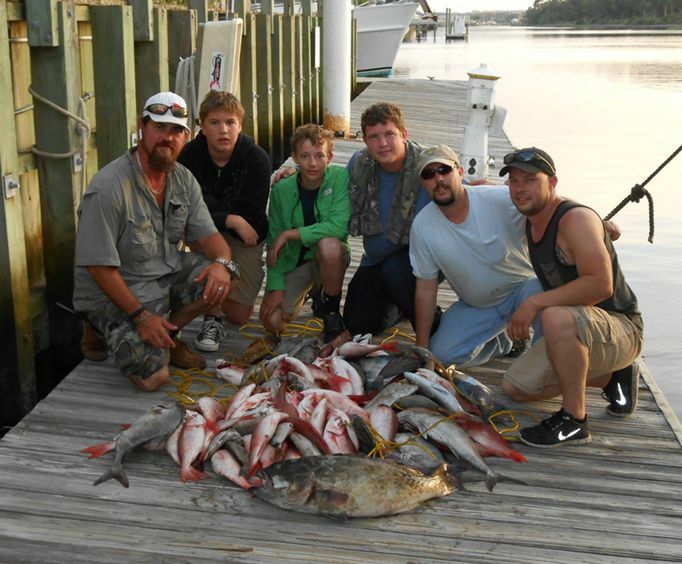 Head out for a half day of fun with the Myrtle Beach 1/2 Day Deep Sea Fishing adventure. Guests will climb aboard an immaculate fishing boat where they'll travel up to 15 miles offshore to catch black sea bass, rudderfish, sharks, and more! The 13-hour Myrtle Beach Gulf Stream Deep Sea Fishing trip is bound to be fun! This trip takes place aboard the 100' Super Voyager III or the 100' Continental Shelf Boat where you'll be able to catch some of the best fish in the area. Great time. Captain and crew very friend l y and helpful. Caught about 10-12 sea bass. Would recommend going if you get the chance.